Ahhhhh, meatloaf. Who doesn't love meatloaf? Real comfort food for dinner and great for leftovers! I recently saw a meatloaf recipe on Simply Recipes and loved the idea of using a sofritto as the base seasoning for the meatloaf. "Sofritto" is an Italian term for a well-sauteéd mixture of finely diced vegetables, usually onion, carrot, celery and garlic. It's a base for many dishes, including my favorite marinara sauce recipe, but I had never thought of using it in meatloaf. Well, I have to tell you, it adds outstanding flavor and the aroma in the house when this meatloaf is cooking is divine! I started with the sofritto base and adapted the recipe. It came out great and my husband even had leftovers, which NEVER happens in our house. That was enough stamp of approval for me! In a medium skillet, heat olive oil over medium heat and saute the carrots, celery, onion and garlic for 5 minutes, stirring occasionally. Cover, reduce heat and simmer for another 5 - 10 minutes or until vegetables are soft. Add the salt, black pepper, Worcestershire sauce and the V8 juice and simmer for another minute or two. Remove from heat and let cool. 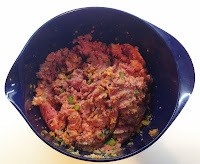 In a large bowl, combine the ground beef, bread crumbs, egg white, parsely and vegetable mixture (sofritto). I like to use my potato masher tool to mix together as I'm not a fan of touching raw meat, but you can use your bare hands. 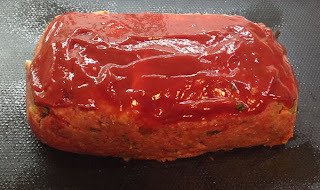 Form mixture into a loaf on a baking sheet or in a pan and spread the ketchup on top as a glaze. I like to cook my meatloaf on a cookie sheet as it's easier and the fat runs off. It's also easier to slice and serve. Bake for 1 hour or until meat thermometer reads 155-160 degrees. Rest for 10 minutes before serving. 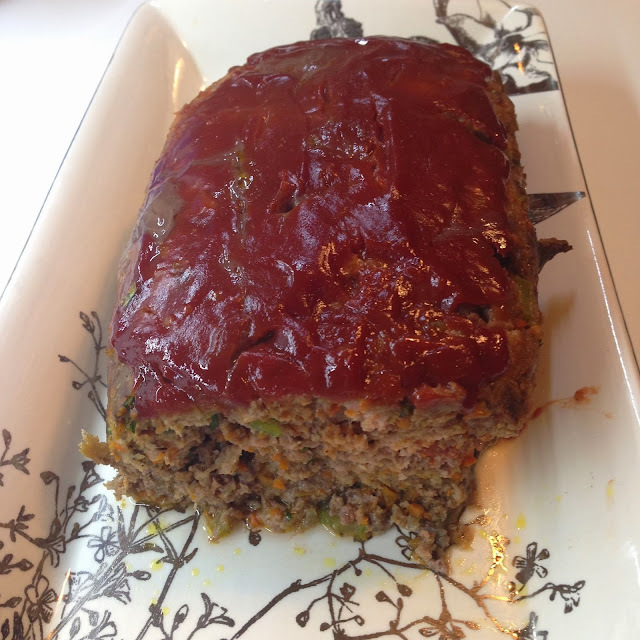 Note: the meatloaf recipe from Simply Recipes that inspired me looks great as well! Check it out here.